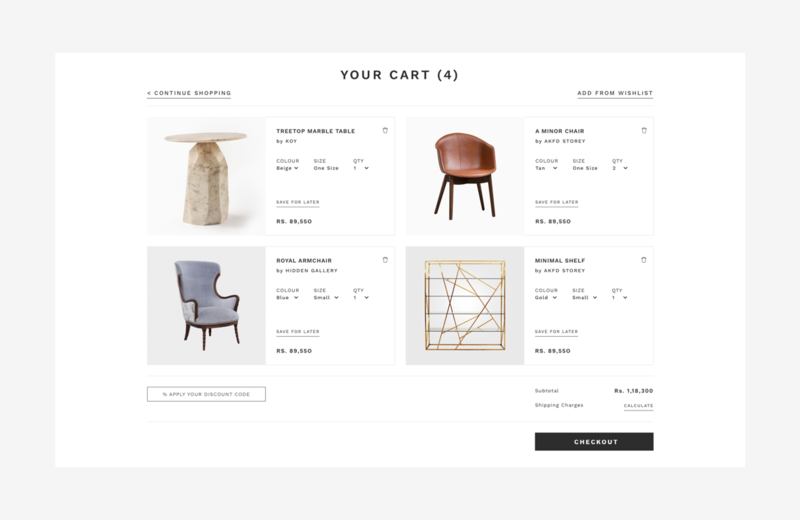 We met with Astha Khetan back in 2013 when she envisioned creating a highly curated luxury e-commerce platform. She was working from the belief that India has so many makers, brands and arts to be discovered and no one place to find it all. She wanted to place these makers on the same platform as international and Indian brands that have already created a name for themselves. Living in Udaipur, she believed that there was a huge demand for access to the finer things in life from people living outside of big cities who crave better products and a global lifestyle. 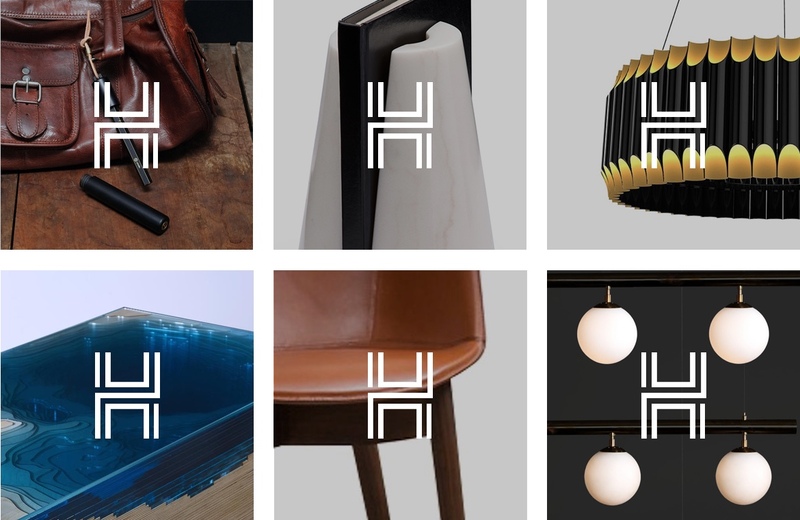 A conversation turned into a solid partnership, with Thought Over Design working with The House Of Things on not just the first version of their digital product in 2013, but also a fresh iteration in 2017 helping the brand live up to its new scale and market. The brand was first called ‘Art, I love you’. We felt that the name was not an adequate reflection of who they were. 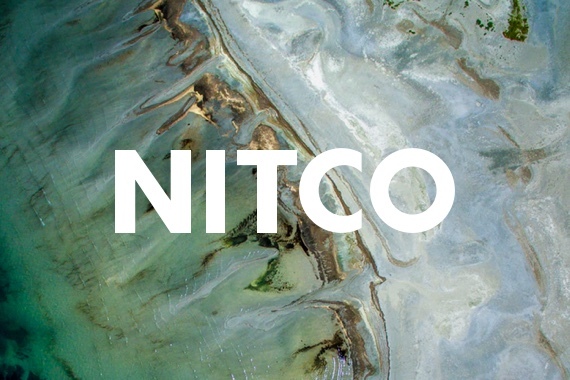 We wanted the name of the brand to reflect their process of sourcing carefully curated, high-end products from craftsmen and antique collectors in the farthest reaches of India. 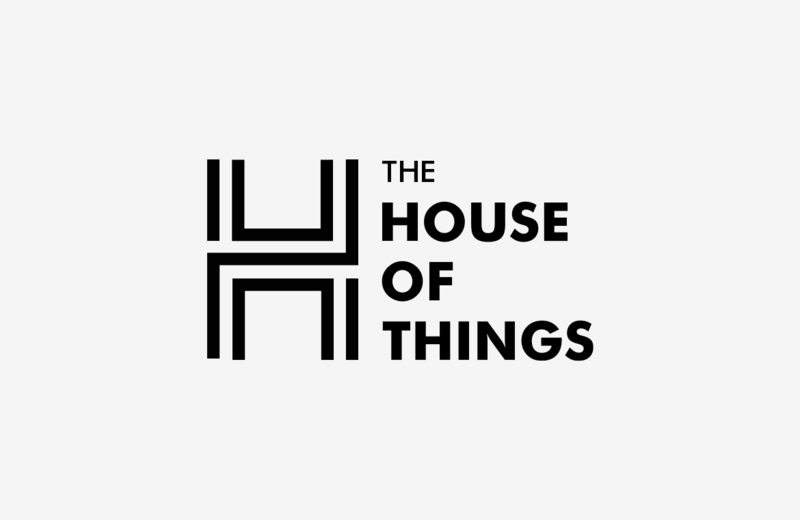 Over a fun brainstorming session, we came up with ‘The House of Things’. That was the birth of this journey. 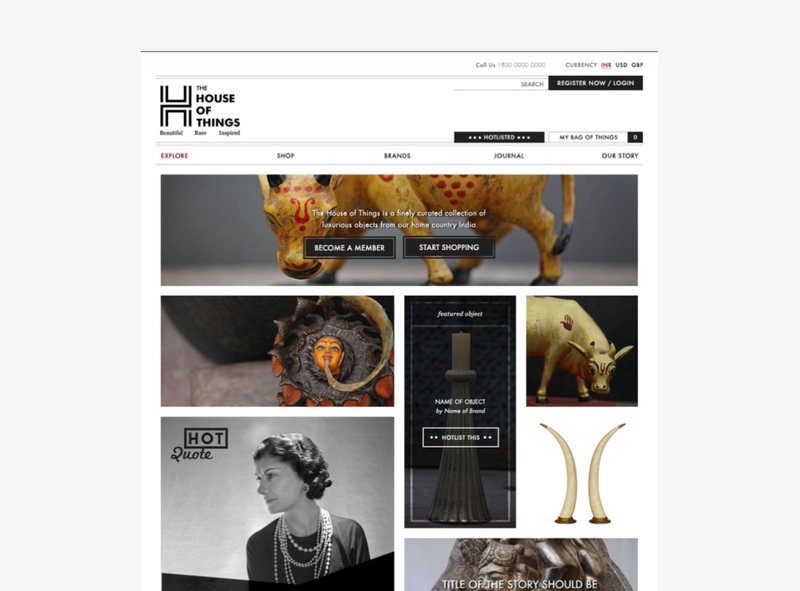 The House of Things caters to a niche audience - the discerning few who appreciate craft, detail and fine living. 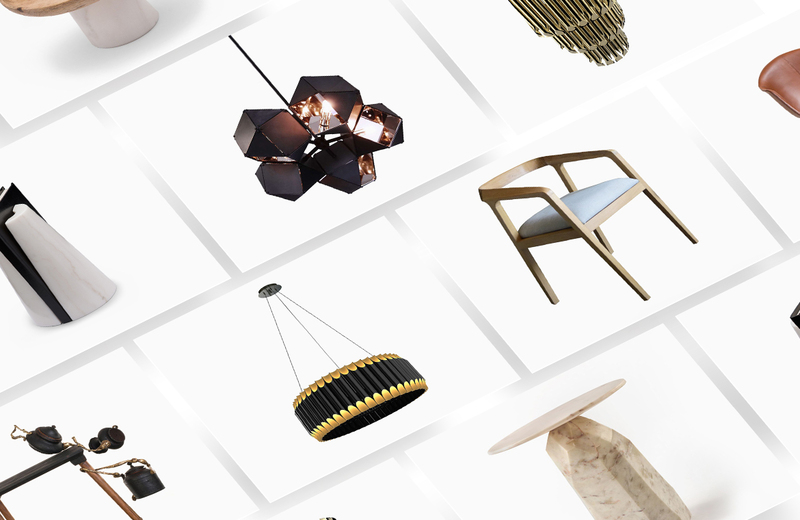 Since the last update, their catalogue had expanded significantly and the website didn’t reflect the scale of their business nor support them to grow further. The team put in a lot of effort into curation, but the goods were hard to find. How do you connect the discerning consumer to the luxury products they’re looking for? How do you improve discovery of fine luxury products? We had designed the previous version of the website in 2013. Back then The House of Things referred to two people who had the desire to make spaces beautiful. Four years on the business had grown and we as a team had learnt a lot along the way. The visual language was loud and often hindered the consumer from viewing the product closely. The pictures themselves were noisy and competed with each other for attention. The navigation tools didn’t cater to different browsing patterns. 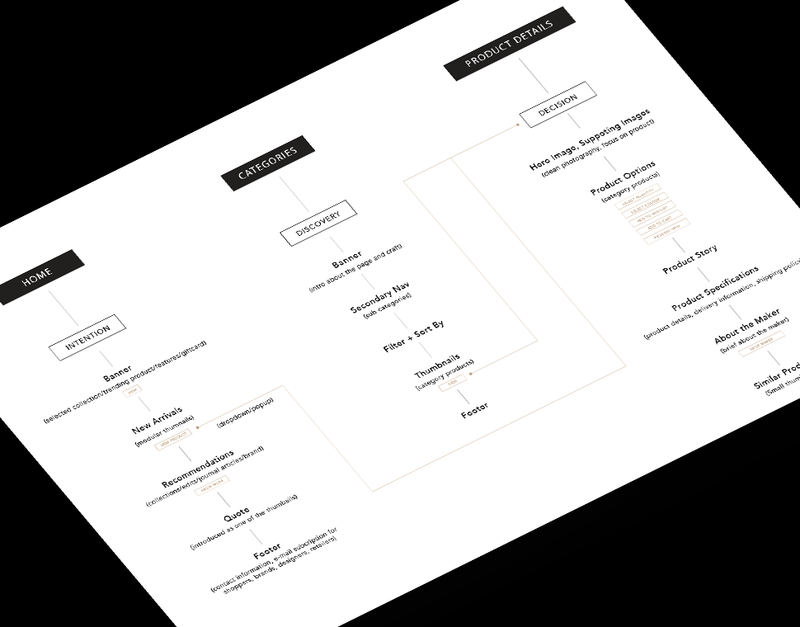 By paying close attention to different user mindsets, we were able to design comprehensive user flows and simplify the navigation to make the site easy and enjoyable to browse through. We wanted to create something simple and clean, so that the product could take centre stage. 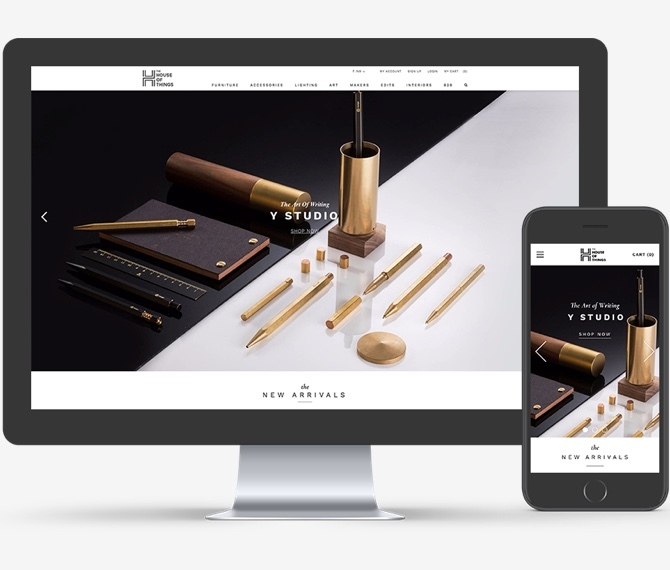 We designed the UI to become the background to give the brand a luxurious minimal look. 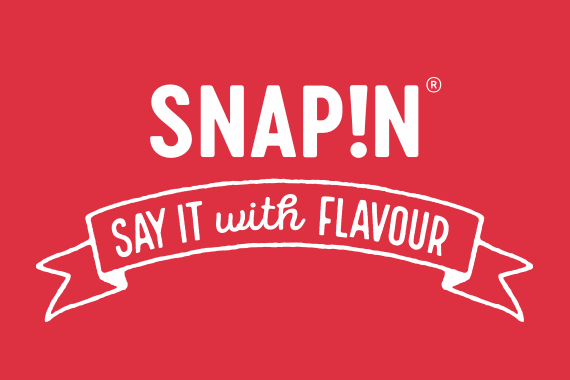 We wanted to create something simple and clean so the product could take centre stage. We designed the UI to become the background, and give the brand a luxurious minimal look. 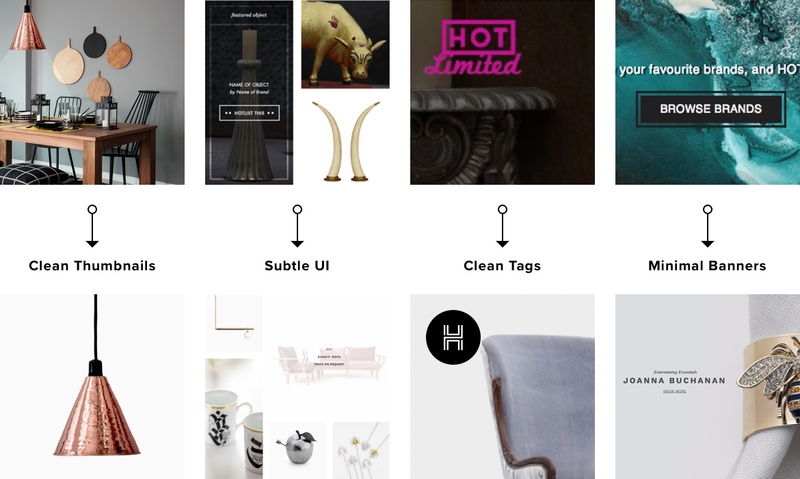 Seeing the object in isolation brought more focus to the object and enabled a seamless experience while browsing. By giving makers their own space, not only were we aiding discovery on the platform, but also enabling them to link to this page from anywhere on the web. We stripped away to the bare essentials and allowed beautiful, clear and detailed images of the product to quietly inspire the user. Then we added meaning to the experience with a carefully crafted description. Only after this would we introduce the technical aspects of the item: whether it fit into the space the user had in mind, how long it would take to be delivered and what would happen if she didn’t like it. People buy things because of the stories behind them. So we gave makers the room to talk about their craft, the story of the product, and led the user to discover more items from the maker. Gifting was a huge segment for The House of Things, and users were quite specific about how an item should be presented to its intended recipient. 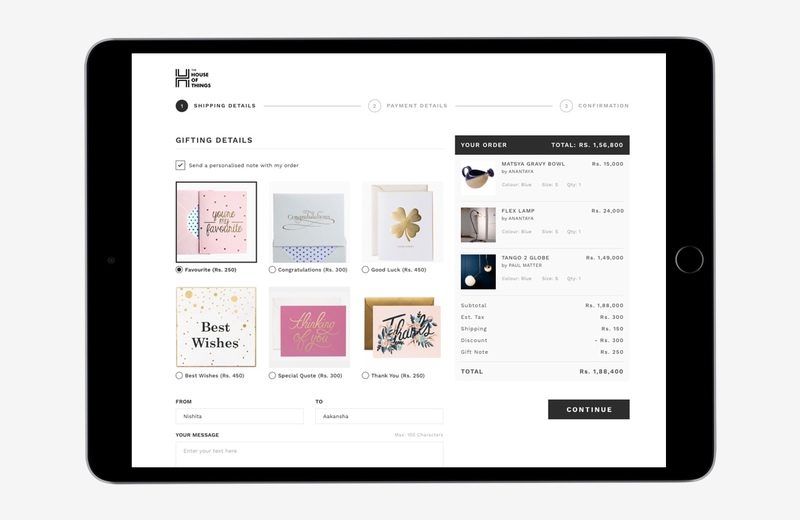 Taking note of this, we included a way to personalise gift orders in the check-out process. Given the price point of these items, we felt that it was important to reiterate the luxury appeal of the products people intended on buying. So the cart became more visual - a card based grid instead of resembling a typical list. Anushka is efficient, full of energy and always pushes you to think outside the box. Her attention to detail, patience and timely deliverables made the overall experience of working with her amazing. The end product far exceeded my expectations. Excellent working with the entire team of Thought Over Design.